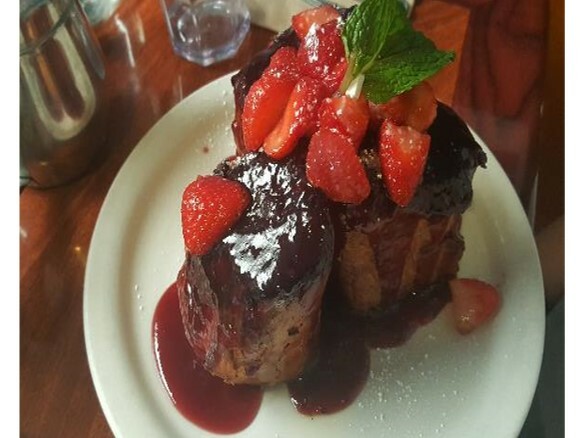 Brunch in Oakland is one of my favorite things to do! Why? Well, all of the best brunch spots are these small, hometown, could be a 50s diner type places… Call me a country girl at heart! This past weekend, I discovered Aunt Mary’s Café, located on Telegraph Ave in Oakland. Aunt Mary’s falls right into that homey, comfy, diner category that I love and with their creative menu, I felt right at home! The most popular thing on the menu was the Chicken and Waffle so that’s what I ordered! Hold up. Let me be clear. 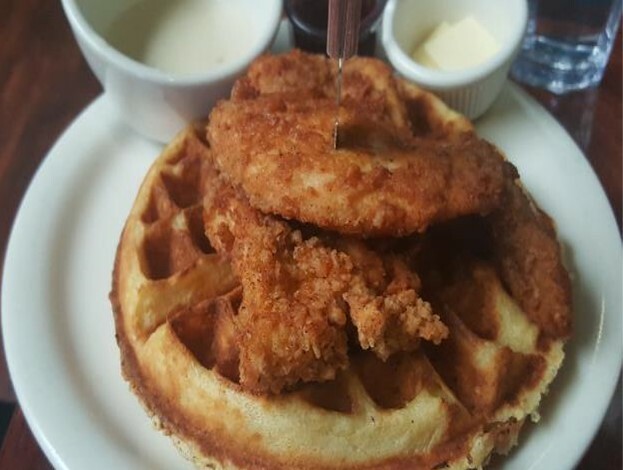 I ordered the Grit Waffle with Fried Chicken. Yes… a waffle made out of grits. 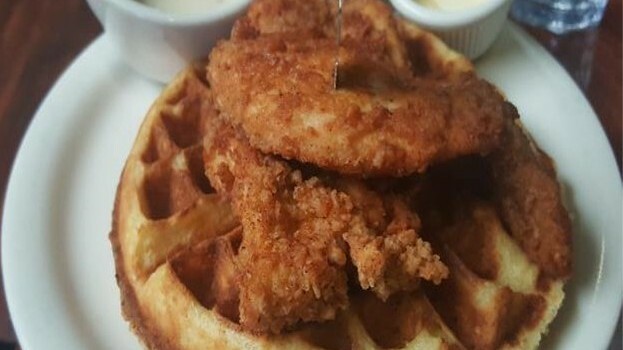 Chicken was well seasoned and the grit waffle was certainly different but tasty. I didn’t like the gravy, not much flavor… but with the syrup, it was good (ask for a second cup of syrup upfront). 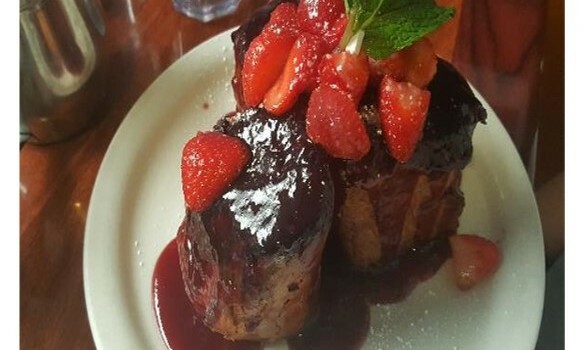 We also had the Pain Perdue, which Aunt Mary’s describes as “Cajun-style French toast made w/baguettes soaked in a whiskey laced custard, baked to ordered, served w/red & white wine compote & fruit.” Honestly, this was much prettier looking than it tasted. It was A LOT of bread which was overwhelming but what we finished, we liked. Pros: Complimentary coffee while you wait (even though they do charge you if you accept the refill at the table); Cute place with a comfortable feel and accommodating wait staff. Cons: Because it’s small, there will be a wait on weekends.